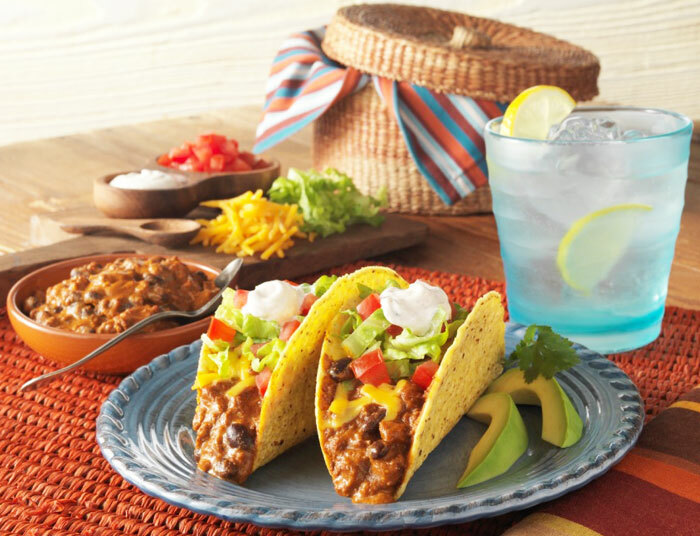 Chili Tacos combine the warmth of homemade chili with the flavor of a Mexican cuisine. Great for your next family fiesta, out door outing or dinner. Combine beanless chili and black beans in microwave-safe bowl; cover and heat according to chili directions. Mix sour cream and chili powder in a small bowl and set aside. Make tacos by pouring ¼ cup of chili-black beans mixture in each shell. Top with shredded cheese, lettuce, tomato, flavored sour cream, avocado slices and onion. Serve hot and enjoy!